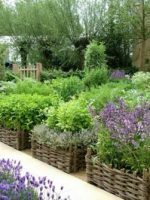 Featured at RHS Chelsea Flower show 2015 in the Runnymede Surrey Magna Carta 800th. 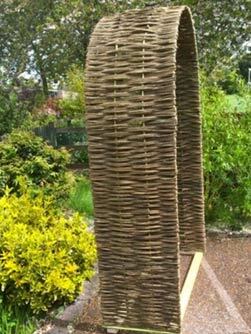 Anniversary Garden As featured The substantial metal framework is designed & manufactured in the UK & the willow woven by local weavers in the heart of Buckinghamshire in the old village of Miltom Keynes using hand cut organic willow ( certified by the Soil Association). 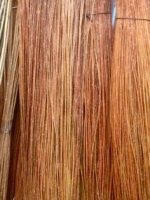 The woven willow uses a variety of willow, Dicky Meadow’s which produces even, thin long stemmed warm brown rods tightly woven to provide a dense even weave all round the structure. Available in 3 standard sizes all 2.21m tall 0.5m deep & 1.2, 1.5 & 2.0 meters wide. Bespoke service available please contact us.